The Cube AMS 120 HPA Race 29 2014 mountain bike is a jack of all trades - sprightly enough for nipping around trails and comfortable enough for long route riding. 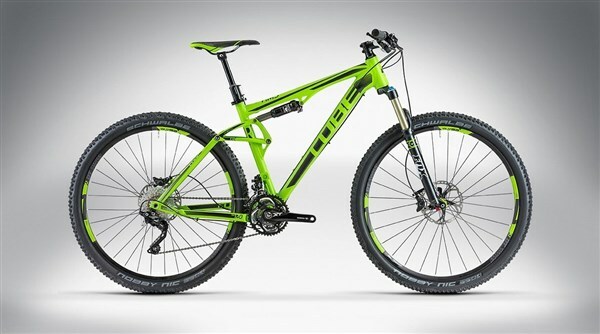 The 29er wheels are ideal for tackling obstacles and providing better traction, but Cube's Agile Ride Geometry gives the feel of a more agile 26' bike. There are some fantastic features and carefully chosen components, making this a versatile, great value machine. Suspension comes courtesy of a Fox Float CTD fork and shock, which both feature Climb, Trail and Descend modes so you can tailor your suspension to suit the manoeuvre you're executing or surface you're riding on. The Shimano XT components are durable and provide smooth gear changes whilst the DT Swiss CSW MA wheels are incredibly fast rolling. The aluminium frame is incredibly light yet sturdy and Shimano XT hydraulic disc brakes offer precise stopping and perform well in all conditions.